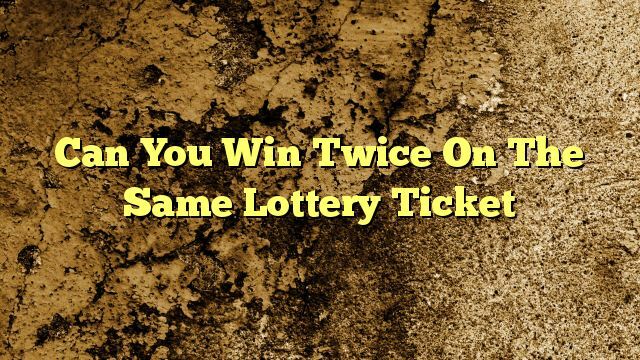 Normally when we buy a lottery ticket, we buy more than one combination on a single ticket. In fact it’s pretty rare for people to buy just one entry. But what happens if more than one of your entries wins a prize? Do they just give you the bigger prize? Do you only get one of them at random? No, to both of those. You actually get paid out for every prize you win, even if they are all on the same ticket. The retailer or lottery company will simply pay you the total amount. Even if you bought 10 entries on one ticket and they all won something, you would still get paid for all 10. He Even Played The Same Numbers! In fact, this does happen. For example, in Woodbridge, Virginia a few years back a man bought 10 identical entries into the Virginia Cash 5 game. He played the same numbers 10 times on a single ticket: 11, 13, 18, 22, 28. You can also buy a ticket that covers multiple draws. So what happens if you pay for 10 draws and then win on the first one? Do you just get that prize and lose the rest of the entries? Or should you wait and see which week wins the most? Or do you have to wait until the end of the 10 weeks? Actually, it’s better than all of those things. Instead, you can just take your ticket in to claim the prize as normal when you win. You will get the prize you already won plus another ticket to cover the rest of the entries you originally paid for. Your original ticket will not be valid anymore. So be extra careful and make sure you are given the replacement ticket, and that you keep that one, not the old one! You can also wait if you prefer and claim everything at the end. So you will get all the prizes you win whether you win more than once on the same ticket, more than once on a multi-week ticket or multiple times per draw AND multiple draws. The lottery company always pay all the prizes you win – just make sure you claim before the deadline expires (typically 6 months, sometimes up to a year depending on the game). This entry was posted in Lottery Systems.